For years, anyone who wanted to read a history of graphic design, written in English, had conspicuously few choices. It was either Philip Meggs’s trailblazing A History of Graphic Design (1983, now in its fourth, posthumous edition) or Richard Hollis’s more compact Graphic Design: A Concise History (1994). It took until 2006 for a heavyweight rival to Meggs to appear in English — French art historian Roxane Jubert’s Typography and Graphic Design: From Antiquity to the Present. Last year, a fourth, better distributed contender arrived, Stephen J. Eskilson’s Graphic Design: A New History. The book received some tough criticism in a previous dialogue on Design Observer. Now, snapping at Eskilson’s heels comes yet another historical survey, Graphic Design History: A Critical Guide by Johanna Drucker and Emily McVarish (Pearson Prentice Hall). Their critical history differs in some significant ways from its predecessors. “Graphic artifacts always serve a purpose and contain an agenda, no matter how neutral or natural they appear to be,” they explain. Designer and design educator Denise Gonzales Crisp (North Carolina) and Design Observer contributor Rick Poynor (London) have been marking pages, making notes and exchanging views. On my first pass through Graphic Design History: A Critical Guide, two details distinguished it from other histories. First are the “Tools of the Trade” listed at the end of each chapter, which are suggestive rather than exhaustive. The lists begin with one spanning 37,000 and 7,000 BCE — items such as knotted cords, mouth and spittle, animal fat and marrow lamps. The last chapter, “Digital Design: After the 1970s,” lists the Wacom tablet, wireless networks and the mouse. The evolution of graphic design technologies, and by extension artifacts, is palpably captured in this factual inventory. Most notable is how categories of things in the first list become actions over time: from sticks, bones and roots at the dawn of civilization, to the drawing, image manipulation, rendering, animation and layout software of our clickable present. Graphic design is presented, first, as a making discipline, shaped by production and reproduction limits and advances. Makers in this volume carry less weight. Second, the book’s design runs statements smack in the middle of nearly every spread like Silent Radio headlines. Most are generalized, quantifiable facts: “Newspapers began to address the interests of the working class.” Many are provocative: “Utopianism was gone, along with unwavering faith in progress.” And some downright aggressive: “In a market driven by opportunism, novelty was worth the price.” “Working class,” “hegemony,” “codes,” “ideological” and “pedagogy” are but a few terms staged (in 16 pt. Gothic!) as if such notions were as natural to graphic design practice as Pantone Red. You know that moment when somebody articulates an idea that you hadn’t quite put together, but as you hear it you say “em, duh!” Well, that would be the point of this book. A seriously explicit and sharp point, as it turns out, but a vital one in the context of historical surveys on graphic design. Not that such insights haven’t been written. The bibliography cites works by Reyner Banham, Maud Lavin, Stuart Ewen and Victor Margolin, historians and critics who have contributed under similar critical terms. But who reads that stuff? Graduate design students, educators and design writers, mostly. A Critical Guide is clearly targeted at them and undergraduate students, but also to “the rest of us,” practitioners inclined to read design history. It certainly seems to have been conceived as a textbook — both authors are teachers — and on the publisher’s website there is a blurb describing it as being, “For one-semester History of Graphic Design and History of Visual Communication courses.” Amazingly, the back cover, consisting of plugs from colleagues, gives no information at all. The publisher isn’t presenting the book in a way that suggests it foresees a wide, non-academic readership, and general booksellers aren’t going to get too excited by the strangely severe front cover. I admire the book’s critical ambition, as set out in the list of principles. I also agree with Drucker and McVarish that we need more design writing informed by an understanding of critical theory — Drucker, an art historian and book artist, is steeped in it. But what would a raw 19-year-old design student, attending that one-semester course, make of a sentence like this from the preface? “The capabilities of production always constitute affordances, within which design practices can be received as well as realized.” You need some knowledge of perceptual psychology or interaction design even to begin to grasp the use of “affordance” there. At moments like this, the authors seem to lose sight of their intended, and most likely, reader. If they are so concerned to unmask the “exclusionary tactics” of design rhetoric, as they tell us a page later, why snaggle their prose with rhetorical obstructions of their own? It’s curious because in other ways the book is acutely aware of the inexperienced reader’s needs. Words marked in bold in the text can be looked up in an excellent 23-page glossary that covers everything from algorithm to x-height. As writing, though, despite the political urgency of its underlying leftist agenda — fight the power! — the text is flatter, more buttoned-up, and technical sounding at times than it needs to be. The authors clearly love the subject, so where’s the verbal zest? Graphic Design as Communication by Malcolm Barnard, a book that’s had less attention than it deserves, though it’s aimed at the same student reader, explores similar theoretical territory in relation to design (Barthes, Derrida, Foucault) more explicitly and with greater argumentative vigor. The writing is dense, no question. You bring to mind an issue that bedevils a number of graphic design educators, at least in the U.S.: how to integrate design theories and scholarship — by definition demanding — that instill critical rigor in ways accessible and meaningful (aka applicable) to budding practitioners? Scholarship in graphic design is a fairly recent player compared to other design disciplines, and frequently alien to undergraduate curricula. I can’t help but wonder if the book is jam-packed in order to address (with immediacy) some conspicuous oversights. I do read joy in the surprising illustration choices throughout. This is no parade of aloof “greatest hits.” Artifacts range from a sobering 19th-century slave auction announcement to an elaborate trade “kalendar” promoting Norris & Cokayne, proprietors of fine printing. Original drawings and notes for Edward Johnston’s 1915 London Underground typeface and William Morris’ 1892 Troy demonstrate craft as well as ideals. I also appreciate the many humanizing glimpses into graphic design’s unsung legacies, for instance the comical 1485 “My Heart Doth Smart” in which a lovesick Casper of Regensburg depicts hearts being “sawn, hooked, roasted, pierced, stuck in a vice, and wounded in various ways.” Who knew early Renaissance men had a sense of humor? The chapter “Public Interest Campaigns and Information Design” features WWII posters designed to educate the U.S. public about army insignias and air raid procedures — refreshingly secular examples compared to the usual relics hawked in design histories. The startlingly fresh choice of illustrations is one of the book’s pleasures, as you say. The images in the early and middle sections are wonderfully researched and informative, though the authors’ formidable searchlight seems to waver as they approach the present, where they rely too much on published sources in their selection of images. The chapter on postmodernism offers nothing we haven’t seen before despite the huge wealth of international examples to choose from. American work dominates the later pages and this chauvinism is out of keeping with the book’s iconoclastic critical spirit. A caption accompanying the famous 1960s “pregnant man” ad for the Campaign for Family Planning forgets to say that it comes from Britain. Isn’t nationality a significant contextual factor? How can we fully understand a social information campaign without situating it within the social trends and political program of the nation state that produced it? This vagueness of location is a recurrent problem in the captions that could have been avoided by putting the country of origin next to the date. The main text carries general analysis, while the discussion of examples is pushed out into the captions, which run in parallel. True, the caption commentary — a kind of slide show — is packed with some exceptional insights, but this treatment of the material makes for a fragmented reading experience. A Critical Guide is constantly tugging at your sleeve and saying, “Come over here.” Many of the more densely illustrated pages read as a patchwork, with as much to absorb in the captions as there is in the text. Often the captions have no direct connection with the sentence that contains the figure number, creating an expectation that a point will be developed by the visual example, which isn’t then fulfilled. For all the criticisms of Eskilson’s Graphic Design: A New History, it’s rather more readerly in this respect, and so is Hollis’s Graphic Design: A Concise History. Their integrated texts allow you to immerse yourself and concentrate. Although Drucker and McVarish hope their book will be used for systematic study, it’s a volume that both student and non-student readers are more likely to dip into and skim because that’s what its editorial structure and layout encourage. I see your point, and agree that for some readers the multiple entry approach might be problematic. But speaking for multi-tasking-hyper-texters such as myself, I appreciate the format and delivery. Aspects you find distracting I welcome as exuberant exhortation, which is not necessarily an impediment to reflection. What do you think about their determination to play down the role of individuals? They avoid quoting designers, denying their voices and discounting their experiences and intentions. With a handful of exceptions (Ruari McLean’s study of Tschichold is the most recent), the titles in their otherwise thorough bibliography tend to be general studies and surveys. Did they really not consult any other monographs during their research? Few would argue at this point for a view of design confined to the uncritical celebration of “great names,” but is there a danger of a different kind of distortion? The ex cathedra assertions in this kind of analytical writing are also a form of authority. “Fabricating an intangible aura of desirability, far beyond any real necessity, graphic designers produced perpetual longing for an imagined life,” they write in a chapter about the culture of consumption in the 1920s and 1930s. I believe, as they do, that this is just as true today, but I still want to see it demonstrated with close attention to the activities of actual designers — and for that matter, their clients. Ah. Clients. Now there’s a group whose perspectives we could use, if for no other reason than to name producers as design collaborators. In any case, evidence-based texts are a priori “distortions” of one sort or the other. Creators (and clients) would be the first to cite their intentions as meaningful evidence in support of their respective enterprises, which critics then interpret to fuel conclusions often divorced from what either might have intended. At first, I did miss the impassioned words of Gill and Goudy and Golden. I am a designer, after all, and love hearing ancestors wax theoretical, nostalgic, profound, what have you. Not long ago I sat at lunch with the printer and fine book publisher Jack Stauffacher. He had in tow a stunning photogravure book printed in the 1960s and his face seemed to glow as he described those now lost days of which he was major proponent. Enchanting, truly. Still, his insights revealed little of critical import about the work or its context. The very premise of the book seems to preclude designer voices as germane. The authors strive for the meta-view, routinely citing examples as “typical” of approach or attitude, rather than attributing uncommon artistry to any given individual. I may want and need to believe in genius (sadly, I do), but the writers trump my desire with dogged focus on their proposal: that artifacts reflect the culture and moment they help produce; that they shape cultural expectations and hide assumptions. One thing you have to say about Drucker and McVarish: they are resolute! In this context, designer stories are best left to respective essays, monographs and biographies — a few of which the bibliography names. But arguments have to be made from evidence and the quality of an argument will depend in large part on the quality of that evidence. I’m not calling for a parade of “geniuses.” I’m suggesting that a fuller understanding of design will come from paying some attention — some — to what designers say they are trying to do and why. We might then conclude, weighing their testimonies against other kinds of evidence and other forms of analysis, that designers don’t fully understand, and can’t finally account for, their own work. But these testimonies will still contribute to our understanding. The other point of some judicious quoting is that it gives readers a chance to gauge for themselves the content, tenor and strength of a designer’s views, rather than having the authors imply, from a position of assumed authority, that these views can simply be set aside. For a reader new to the Futurist Marinetti, what gives the most effective (or least distorted) sense of what Marinetti was about? A well-chosen sample of his actual words? Or someone else’s summary of what he was about, filtered through her own concerns? Eskilson’s history received a hard time on Design Observer for its lack of footnotes. While this is not necessarily a problem — Gombrich’s hugely readable The Story of Art has gone through dozens of reprints without them — in a book that sets store by its critical method, the lack of footnotes raises some questions. The more the authors seek to embed the history of graphic design in other kinds of history — political, economic, business, retail, and so on — the more we need to know where their understanding of these areas comes from. For instance, in the chapter on the graphic effects of industrial production, they write that, “The popular press is often seen as an instrument of social control through which the masses consume ideas and values that may run counter to their own interests.” Often seen by whom? A well-established tradition of leftist media criticism from cultural studies and media studies lies behind that claim, but readers just have to take these ideologically loaded accounts of history on trust, with no signposts to relevant further reading. Not far into a chapter on corporate identities and the International Style, we learn that, “The unified image afforded by a distinctive logo and corporate identity system might well conceal a host of inequities or abuses, even as it functioned with clear, rational effectiveness in strategic communications.” Yes, it might, and this is certainly not the kind of observation that previous histories of graphic design have been inclined to make. So have there been historical or critical studies showing this to be the case with corporations in the 1950s and 1960s? They don’t say. The paragraph goes on to mention the CIBA pharmaceutical company and Chase Manhattan bank, as if to substantiate the argument. Certainly, these organizations were geographically dispersed and structurally complex, but the authors provide no evidence of inequity or abuse. Nevertheless, they repeat their earlier point: “Good visual communication could gloss over irregularities in business activity or accounting practices by constructing an image of smooth operations in a climate of uncertainty. The graphic designer’s art sometimes raised ethical questions of accountability (Fig. 12.4).” The figure number takes us to the caption for Chermayeff & Geismar’s Chase Manhattan corporate identity (1960) and its placement within the sentence seems to imply that the designers’ work on the identity raises ethical questions. This is not developed in the caption and, once again, the assertion — a point fundamental to the authors’ critical view — goes unsupported. The book declares more than it debates, from the opening terms of engagement to the droll timelines concluding each chapter, where design-related milestones are listed amid other “selective and suggestive” cultural and political markers. I also take the title at face value: a guide to help navigate any number of other sources. A single paragraph under “Graphic persuasion and its effects,” for example, invokes several themes that surfaced between the wars. “The field of propaganda studies was born;” the Frankfurt School examined “how values could so permeate a culture as to make their manipulation almost invisible;” Edward Bernays (Freud’s nephew) founded the public relations field in the U.S.; sociologists Lippmann and Lazarsfeld studied and theorized “the mechanisms by which print media encoded and delivered messages.” Obviously these areas would need the support of more extensive illustrations and deeper discussion in, say, a history of advertising. The authors don’t explain if the book is meant to function as worthy counsel or earnest competitor to fatter, hardbound volumes on graphic design history such as Eskilson’s. I expect the former is more likely. Assuming the book is a map of sorts, with a fixed perspective, then providing means for zooming in closer is in order. The recommended texts listed for each chapter promise ample detail for the motivated reader, but they don’t always lead one to qualifying sources. The study and analyses of writers and practitioners in the text cited above — background I should think critical to fully grasping the forces at work — are not included. Meanwhile, I find plenty of insights across chapters that make new sense of existing, perhaps more comfortable, assumptions. The last, “Digital Design,” mirrors an earlier chapter entitled “Renaissance Design.” This parallel brings to light two periods that on the surface appear to have little in common. However, each brought tremendous technological shifts, and with them far-reaching consequences. The authors point out how the means of production and distribution dramatically altered societal inclusion — moved toward more democratic authorship and readership — and fundamentally changed creator/designer tasks and knowledge. Similar connections pervade the book (see also recurring discussions of information design and photography) and they show how contemporary designers participate in, and are products of, their moment. This is both liberating, as self-knowledge should be, and incriminating. Many examples and discussions implicate design’s role in representing optimism (read: complicity) for commercial gain or “hegemonic” reinforcement. Chapters such as “Mass Mediation” and “The Culture of Consumption” tapped into my inner graphic guilt. “Modern Typography and the Creation of the Public Sphere” and “Pop and Protest,” on the other hand, give more affirming outcomes their due. The authors abundantly argue that graphic communication reflects and generates societal values. In fact, I now whisper a daily devotion over my morning coffee: “graphic design is a vital social vehicle.” If we value a certain kind of awareness, A Critical Guide just might be our sermon. In the June issue of Print, Drucker accepts the delicate assignment of reviewing Eskilson’s rival volume. She acknowledges the difficulty faced by any design history author of writing for “the many constituencies of practitioners, teachers, students, and academic audiences, each with their own needs and agendas.” The problems highlighted in our discussion underline that challenge. Given Drucker’s view, reiterated in Print, that “a history of graphic design provides insight into the way we understand practice today,” the book’s heavy emphasis on the subject’s distant “pre-history” might be counterproductive. The section titled “Prehistoric Prelude to Graphic Design: 35,000-2700 BCE” is such a stretch it sounds like a spoof. A less American, more generously international perspective on recent decades would also have served their critical cause better. It’s very noticeable that while many well-known U.S. designers (Muriel Cooper, April Greiman, Tibor Kalman, P. Scott Makela, Paula Scher, Art Chantry, Charles S. Anderson, Elliott Earls) receive at least a namecheck, the treatment of non-American designers of equal or greater stature is much patchier. In a book that can find space to tell us, in a timeline, that protozoan life forms began 2 billion years ago, or that the Black Sox baseball scandal took place in 1921, some might wonder what happened to Henryk Tomaszewski (and the entire school of Polish poster designers), Max Huber, Karl Gerstner, Robert Massin, Ikko Tanaka, Gunter Rambow, or Wim Crouwel, to name only a few notable omissions. The national favoritism in the later chapters suggests that the authors are keeping a close eye on the expectations of the book’s primary market, the U.S. — it’s more worrying to think they just didn’t notice their own bias — and it somewhat undercuts their avowed emphasis on artifacts rather than designers, at least for this European reader. Meggs and Hollis, despite his briefer text, are more inclusive in this regard, and so is Jubert’s Typography and Graphic Design. The opening “prelude” you refer to is worth quoting here because its thesis underwrites other rationales driving the book, and inscribes a poetic connection. “Deliberate mark-making, the preparation of materials and surfaces, the use of conventional signs, the cultural primacy of communication, and the expression of ideas in form, are the legacy of prehistoric graphic work to the present-day designer.” To the extent that inert stone and bone markings so removed from contemporary experience can have significance, this viewpoint pumps life into these, and ultimately all the dead marks that follow. Design students and non-historians frequently see ancient artifacts as inconsequential (or as awesome visual material for CD covers). As far-fetched as it may sound, the imaginative leap that “graphic” and “design” impulses and inventions span millennia adds a bit of healthy color to graphic design activity of every sort. I can see you like these aspects of the book more than I do. For me, the immense sweep of time this study attempts to encompass and condense sometimes blurs its critical focus and necessary detail goes missing. The deep background is interesting, but not essential to the intended exposure of design’s hidden agendas. If they had opened, after some nimble scene-setting, with the chapter on mass mediation from 1850 to the 1900s — the period when, as they say, “commercial artists began to develop a recognizable professional identity” — there would have been more room for their critical investigation of the modern design likely to concern most readers, and of the economic, sociological and technological forces that shaped it. Having said that, despite some almost inevitable flaws, given the huge scope of the task, this smart, challenging, and in so many ways painstakingly researched guide is an important new addition to the design library. The book breaks new ground and raises the stakes. Future histories of visual communication will be obliged to pay it close attention. 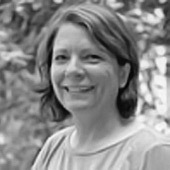 Denise Gonzales Crisp is Associate Professor of graphic design at North Carolina State University, and principal of the occasional design studio SuperStove! Gonzales Crisp’s design and writing have appeared in many international magazines, exhibitions and anthologies, including All Access: The Making of Thirty Extraordinary Graphic Designers (2006), Design Research: Methods and Perspectives (2003) and Design Dictionary (2008). 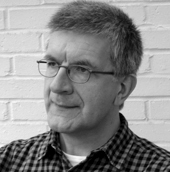 Rick Poynor is a contributing writer for Design Observer, and a Research Fellow at the Royal College of Art, London. He is the author of Designing Pornotopia: Travels in Visual Culture (2006) and No More Rules: Graphic Design and Postmodernism (2003). What I can't understand is why all these design histories have such awful covers (Eskilson's A New History somewhat excepted). My edition of Meggs had a jacket so hideous that I threw it out and haveit on my bookshelf in its plain evergreen papercover (also unattractive, although not offensive). This new cover above--which I haven't seen in real life--is also unexceptional, if not the trainwreck that the Megg's jacket was. Isn't a book jacket essentially an advertisement for what's inside? And wouldn't the authors of these histories want something beautiful or cool or at the very least interesting on their jackets? What gives? It's nice to see Design Observer publishing a review without ad hominem attacks and gratuitous sarcasm. Perhaps the only viable market for a book of such broad scope is as a required textbook in a graphic design history class. It will be interesting to hear the reactions of the undergraduates who are clearly the target audience for the book. I don't have a great track record for predicting the undergrad take on readings. I've been trying to figure out why the book put me off a bit. Maybe it's an egocentric reaction to not being the chosen audience for such an overtly targeted work. I shared Rick's reaction to the fragmented reading experience. The choice (shared with Meggs and others) to start the narrative about five minutes after the big bang added to the feeling. Perhaps we need a more cinematic survey text where flashbacks serve to introduce pre-19C information that seems needed. Just as grammar school social studies classes always felt like indoctrination to a specific notion of "good citizenship," general intro to social theory books also have the feeling that the desired result is a class with a shared ideology (just one steering to the left of the civics class ideal of the '50s and '60s.) Even when such books roughly parallel my own political views and/or even if I think the descriptions are mainly fair, something about them puts me off. Naturalizing the "great man" approach is an ideological approach worth revealing but eliminating the specific human beings from any human pursuit strikes me as equally problematic. Given that the intended readers of graphic design history survey texts are mainly graphic design history students and that graphic design history students are mainly graphic design students, it does seem that leaving graphic designers a way to imagine themselves is appropriate, even if the vision is sometimes a bit grandiose. That said, the book makes an admirable leap in the right direction of adding social context to a social activity. That was an awesome thing to experience a review as a debate between two articulate design leaders. I really like how two "real" modern folks had a take on the material. It posits that history is certainly not objective and invites the reader to entertain three viewpoints at once. Further, it most certainly invites the reader to carve out an opinion of one's one. In fact, that is how an undergraduate could be invited into the material even more - and at a more sophisticated level. Imagine coming across material for the first time and being invited to have an opinion about it - not just memorize it or accept it at face value. I've noticed that in religious writing, many new editions attempting to summarize biblical stories are published with layers of philosophy and theory threaded in as asides so that the reader can "pick" a meaning that works for them (if any). I think this debate should be saved and and then compiled into a master Graphic Design 2008 debate tome. "An ad hominem argument, also known as argumentum ad hominem (Latin: 'argument to the man,' 'argument against the man') consists of replying to an argument or factual claim by attacking or appealing to a characteristic or belief of the person making the argument or claim, rather than by addressing the substance of the argument or producing evidence against the claim." If you got the facts wrong, i.e. labeled digital font designs as though they were the original metal designs, as just one example of factual error, I think that is a fair criticism, and not a "personal attack." Obviously, I take no issue with someone pointing out errors of fact in my book, of which of course there are some. Something else for you to look up in wikipedia: "anecdotal evidence." I do not think your post at all addresses the point that I was trying to raise regarding the unprofessional tone of the review, regardless of the quality of its substance. surely get the better experience for it. Thanks. I am with Stephen as far as "It's nice to see Design Observer publishing a review without ad hominem attacks and gratuitous sarcasm. " I have been designing for 25 years and a Design Educator for 10. I own Meggs, Hollis and Graphic Design a New History I thought the the review of Stephen Eskilson's book to be elitist and condescending . Granted there were some mistakes but the tone of the review was way to harsh considering its reedeming qualities. I do appreciate this review very much. That was an absolutely fabulous format for a book review. You’ve made me lust for a book that I’ll probably disagree with constantly—although it’s hard to not lust after any history with Drucker’s name on the cover. As far as Eskilson's book is concerned, pointing out mistakes is fine but the sarcastic, condescending tone that smacks of elitism is a little hard to digest. The tone of the critque went beyond just mistakes. Also, if one is inclined to think the publisher overlooked certain things in order to sell more books what does that say about Graphic Design? Denise and Rick what great observations—Jessica Gladstone and Gunnar Swanson interesting comments! As a Design Director/Teacher, I would love to buy this book for my classroom, if it came with Denise and Rick's commentary throughout the book as an interactive pdf or an additional Instructor Resource. Imagine if the Design Observer marked up a design history like this one, with layers of dialogue and Video flashbacks. Great work Emily and Johanna. McVarish? Eskilson's book is old news. Dear Plakaboy, would you be so kind as to enlighten me as to how you could possibly call my book "full of mistakes."(???) I challenge you to come up with anything meaningful on that score. I look forward to the results of your "close looking." Ron Henning, there is a stark difference between a "bad review" and the "appalling" one that appeared here. Of course I'm defensive as I was sarcastically demeaned in the earlier review. Might I suggest that a more appropriate place to discuss Professor Eskilson's book would be in the comment thread of the original review, which can be found at the url below? Why recite the mistakes in Eskilson's book that were articulated in the review in DO (not only by reviewers, but by some of the responders as well) and the review in Eye as well, certainly enough to shake confidence in Eskilson's "authority"? I think the tone in the "elitist" review was brought on by Eskilson's asserted intention of producing something "new" and then delivering something mediocre instead. (Footnotes would at least have helped spread the blame for the repetition of old errors!). Nothing wrong with a publisher making some money from a graphic design book, but I'm old-fashioned in thinking that a university press might have brought a smidgin of care to what they were slapping their logo on...if Eskilson wants better reviews, he should take care in the future to write better books. The Drucker/McVarish book isn't perfect either but at least it reveals some real thought and creativity as to how to tell the story differently, and actually does add something new to the shelves of existing books on design history. And really, people, do you think it's useful to dismiss criticism that is asking for more in our field as "elitist"? Or does graphic design only deserve mediocrity? (and that brings us to the issue of those ugly covers....as a symptom of "not-elite" design, maybe?). "Why recite the mistakes in Eskilson's book that were articulated in the review in DO (not only by reviewers, but by some of the responders as well)"
Some responders like Massimo Vignelli who once called Emigre an "irresponsible aberation of culture"
My point here is that everybody (including the experts) seem to have an opinion and just because you have an opinion doesn't make it so. Regardless of whether you are the High Priest of Modernism or whoever you are. The personal experiences, baggage etc. shape who we are and how we think. I do realize facts are facts. However, is there not a certain level of subjectivity involved when these reviews occur? that what the field is suppposed to be about? that you or I have not quite yet developed count for anything? design, graphically presented--rather than a history of graphic design. form opinion, compare opinions, learn. I kind of got bored with this blog and stopped reading it -- I come back after months and the entry is GRAPHIC DESIGN HISTORY A CRITICAL GUIDE. wow. Now I remember why I stopped reading!! I've got both Mr. Eskilson's book and the Drucker/McVarish book sitting on my desk. I haven't had a chance to really read both with detail, but will be tackling them this summer as I prepare my lectures for my Design History courses. WRT Drucker/McVarish's book, I do appreciate the design-as-a-cultural-practice approach to the information (it's also how I've taught this in the past) but I am disappointed that the medieval section only contains info about manuscripts and writing. What about ideas of self-representation that emerged in the medieval period that resulted in coat-of-arms and heraldry? Is there not a connection to the symbolic representation we know today as branding and identity? Also, because I haven't read the entire book, my only other criticism is that the cover and paper stock used seems inferior to the other history books on my shelf. The cover started to curl almost immediately after I took it out of its packing. I'm currently a student in graphic design and I've read this review a couple of times and still can't decide which one to buy. lol. I was leaning toward the Barnard book, but when I hit Amazon it stated that "Graphic Design as Communication looks at how graphic design contributes to the formation of social and cultural identities". Forgive my ignorance, but couldn't graphic design arguably be equally a manifestation of social and cultural identities? I suspect I'm particulary intrigued by reading a historiography of graphic design history. Does such a book exist? Any further book recommendations would be greatly appreciated. Thanks! Follow up - I ended up buying Eskilson, Barnard and Druker. I suspect what intrigues me the most about the post is the dichotomy of ideology that prevails on how design history should be written/approached. I admire the book for the critical stance it maintains--an estimable feat of compression far as I can tell. (I was weaned on Meggs whose text I continue to find useful though it is, by comparison, less congenial, and less focused on the nature of the discipline.) Drucker and McVarish effectively set 'thing-ness' aside--that all-too-familiar eulogizing of individuals and their artifacts--for a more pertinent consideration of what lies behind the work. The authors see graphic design as an incident of 'theoretical frameworks', part of a much larger system of people, things, and conditions, which make the book especially useful to students and, for that matter, instructors averse to theory as a defining and inherent component of practice. The captions are admittedly dense, but I found them strangely alluring, density = contemplation, which is a good fit for beginners. However, it will be necessary for readers (undergraduates likely, dilettantes possibly) to follow-up. I also lament the lackluster exterior. It's the kind of wrapping I've unfortunately come to associate with Pearson Prentice Hall. I wonder why a book on graphic design history can't look like a book about that very subject? Susan G. Wheeler and Gary S. Wheeler's Type Sense (3rd. ed.) suffered the same fate--a very useful text marred by a poor cover. "In a book that can find space to tell us, in a timeline, that protozoan life forms began 2 billion years ago, or that the Black Sox baseball scandal took place in 1921, some might wonder what happened to Henryk Tomaszewski (and the entire school of Polish poster designers), Max Huber, Karl Gerstner, Robert Massin, Ikko Tanaka, Gunter Rambow, or Wim Crouwel, to name only a few notable omissions." I will not buy the book for this reason alone. Still waiting for this book. Denise Gonzales Crisp is Associate Professor of graphic design at North Carolina State University, and principal of the occasional design studio SuperStove! Gonzales Crisp’s design and writing have appeared in many international magazines, exhibitions and anthologies, including All Access: The Making of Thirty Extraordinary Graphic Designers (2006), Design Research: Methods and Perspectives(2003) and Design Dictionary (2008).